It’s happened to the best of us. You return from lunch, pull up your AdWords account, and hover over a keyword only to realize you have a Quality Score of just three (ooof). You scan a few more keywords, and realize some others are sitting at fours, and you’ve even got a few sad twos. 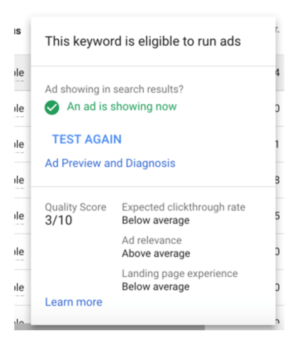 Low Quality Scores like this are a huge red flag because they mean you’re likely paying through the nose for a given keyword without the guarantee of a great ad position. 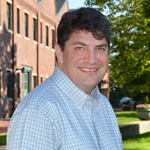 Moreover, you can’t necessarily bid your way into the top spot by increasing your budget. You ultimately want to see healthy Quality Scores of around seven or above, because a good Quality Score can boost your Ad Rank, your resulting Search Impression Share, and will help your ads get served up more often. To ensure your ads appear in top positions whenever relevant queries come up, today we’re sharing sage advice from PPC experts Jeff Baum and Diane Anselmo from Hanapin Marketing. During Marketing Optimization Week, they spoke to three things you can do with your landing pages today to increase your Quality Score, improve your Ad Rank, and pay less to advertise overall. Direct from Google, Quality Score is an estimate of the quality of your ads, keywords, and landing pages. Higher quality ad experiences can lead to lower prices and better ad positions. To achieve Quality Scores of seven and above you’ll need to consider three factors. We’re talkin’: relevancy, load time, and ease of navigation, which are consequently the very things Diane and Jeff say to focus on with your landing pages. Below are the three actions Hanapin’s dynamic duo suggest you take to get the Ad Rank you deserve. Where can you see AdWords Quality Score regularly? If you’re not already keeping a close eye on this, simply navigate to Keywords and modify by adding the Quality Score column. Alternatively, you can hover over individual keywords to view case-by-case. One of the perks of building custom landing pages fast, is the ability to carry through the exact same details from your ads to your landing pages. A consistent message between the two is key because it helps visitors recognize they’ve landed in the right place, and assures someone they’re on the right path to the outcome they searched for. The phone number from the ad doesn’t match the top of the page where we’ve landed. The price in the ad headline doesn’t match the website’s headline exactly ($8.50 appears further down on the page, but could cause confusion). 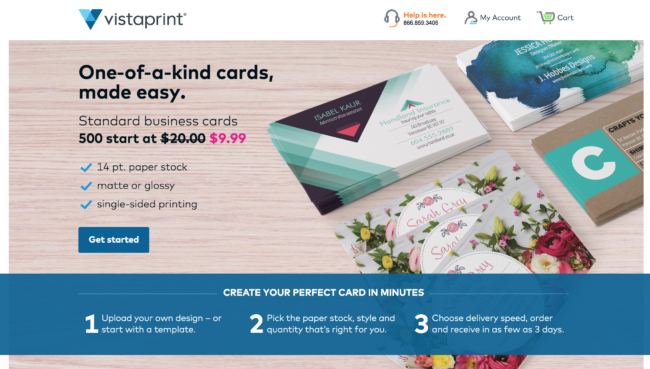 While the ad’s CTA is to “order now”, the page we land on has tons to click on and offers up “Free Sample Kit” vs. an easy “Order Now’ option to match the ad. Someone may bounce quickly because of the amount of options presented. As Jeff told us, the lesson here is that congruence builds trust. If you do everything to make sure your ads and landing pages are in sync, you’ll really benefit and likely see your Quality Score rise over time. 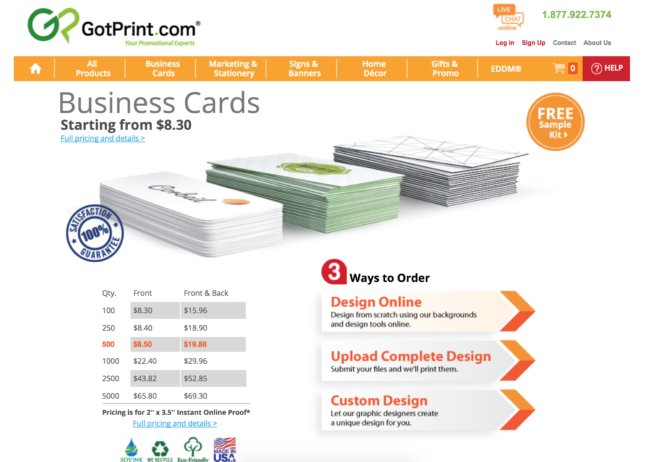 The landing page conveys the steps involved in “getting started” (the CTA that appears most prominently). Overall, the expectations are set up in the ad and fulfilled in the landing page, which is often a sign this advertiser is ideally paying less in the long run. Remember: Google doesn’t tell you precisely what to fix. As Jeff mentioned in Hanapin’s MOW talk, Google gives you a score, but doesn’t tell you exactly what to do to improve it. Luckily, we can help with reco’s around page speed, CTAs and more. Run your landing page through our Landing Page Analyzer to get solid recommendations for improving your landing pages. In fact, in an account Jeff was working on at Hanapin over the summer, in just one month they saw performance tank dramatically because of site speed. Noticing that most of the conversion drop off came from mobile, they quickly learned desktop visitors had a higher tolerance for slower load times, but they lost a ton of mobile prospects (from both form and phone) because of the lag. “we saw our ad click costs were going up, because our Quality Score was dropping due to the deficiency in site speed”. Your landing page size (impacted by the images on your page) tends to slow load time, and—as we’ve seen with the Unbounce Landing Page Analyzer—82.2% of marketers have at least one image on their landing page that requires compression to speed things up. As Jeff and Diane shared, you can check your page’s speed via Google’s free tool, Page Speed Insights and get their tips to improve. 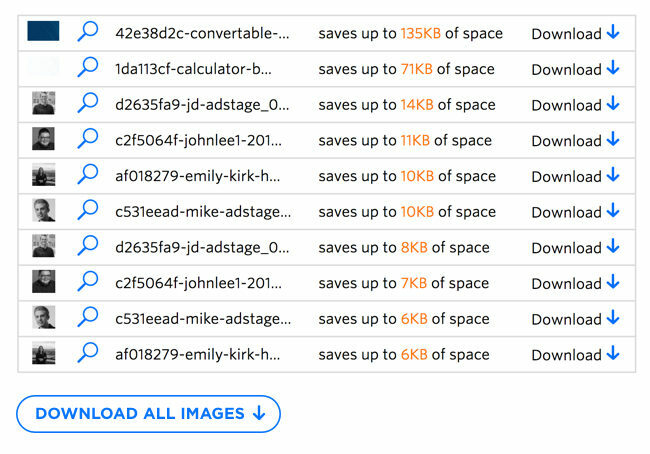 Furthermore, if you want to instantly get compressed versions of your images to swap out for a quick speed fix, you can also run your page through the Unbounce Landing Page Analyzer. Pictured above: the downloadable images you can get via the Analyzer to improve your page speed and performance. Using Diane’s analogy, you can think of a visit to your landing page like it’s a brick and mortar store. In other words, it’s the difference between arriving in a Nike store during Black Friday, and the same store any other time of the year. The former is a complete mess, and the latter is super organized. As Jeff suggested, with landing pages, less can be more. So consider where you may need multiple landing pages for communicating different aspects of your offer or business. For example, if you own a bowling alley that contains a trampoline park and laser tag arena, you may want separate ads and landing pages for communicating the party packages for each versus cramming all the details on one page that doesn’t quite meet the needs of the person looking explicitly for a laser tag birthday party. 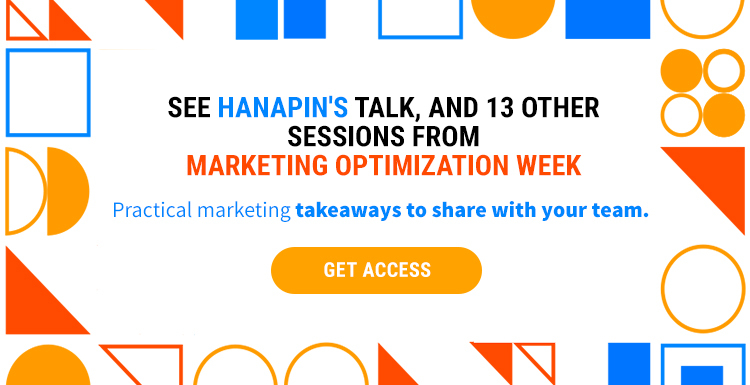 On a whole, Diane and Jeff help their clients at Hanapin achieve terrific Ad Rank by making their ad to landing pages combos as relevant as possible, optimizing load time, and ensuring content and options are well organized. Quality Score is something you’ll need to monitor over time, and there’s no exact science to it. Google checks frequently, but it may be a few weeks until you see your landing page changes influence scores. Despite no definitive date range, Diane encourages everyone to stay the course, and you will indeed see your Quality Score increase over time with these landing page fixes.